Thank you! You should check out the Adventures in Acetone post I linked – I can hope to get mine looking like that next time I try it! Oh wow how lovely. The water marble works. But I love, love, love sugar sugar with decadence. I’m wearing sugar sugar at the moment and I think I’m going to have to buy decadence tomorrow they looks stunning together and the gold for the presents just tops it off! I know, don’t they look great together? I was trying to recreate the look of the original mani where she used a polish which was a red jelly base filled with different reddish glitters. Since I didn’t have anything quite like it I went with layering… and this amazingness happened. I never expected tone-on-tone glitter layering to look quite so amazing but I LOVE it! 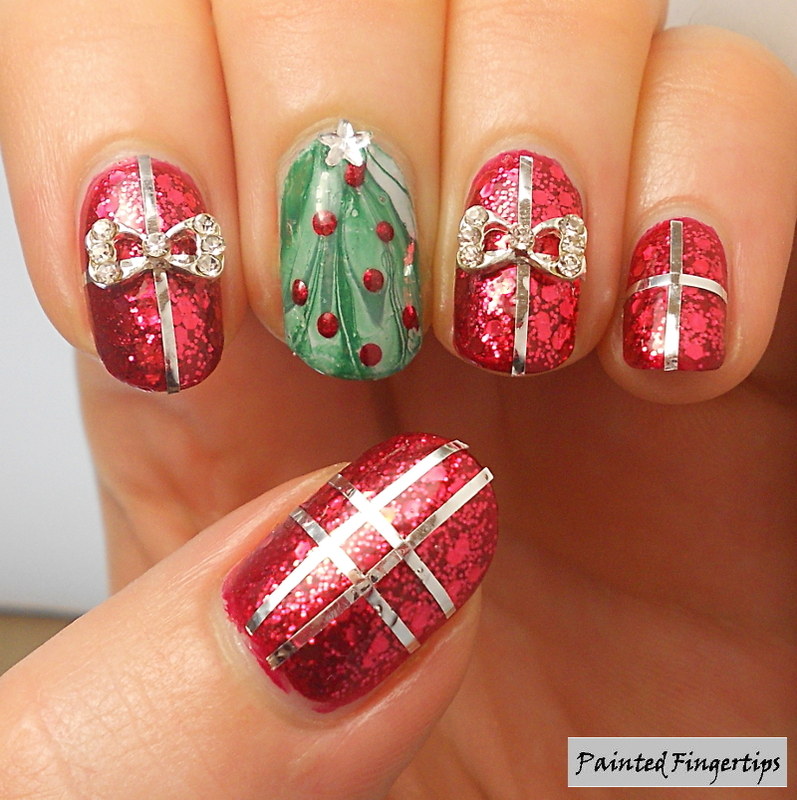 That’s amazing what you’ve done with the water marble, and those parcels are so cute! Well done missus! 😮 This is so freaking gorgeous, and a great take on AiA’s manicure! Water marble is still a challenge I have yet to tackle! 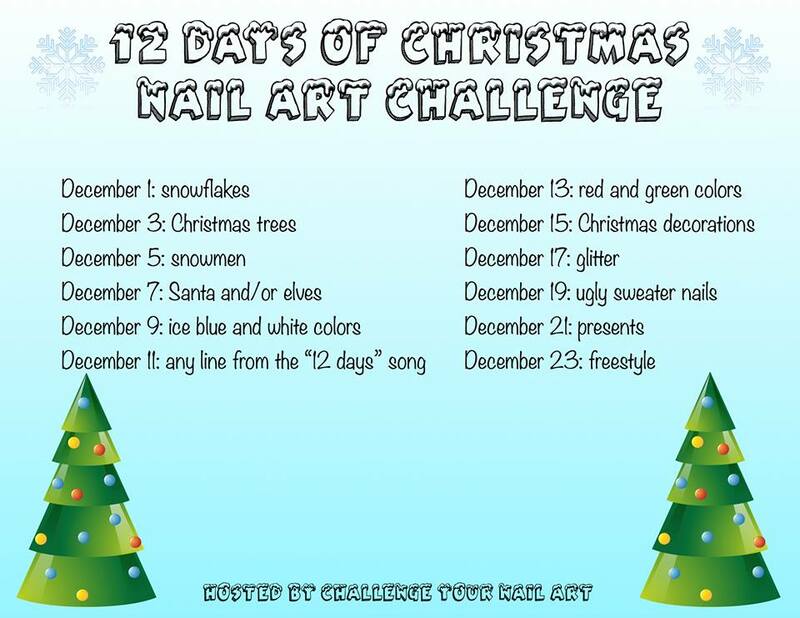 I love that you used it for this challenge! It works really well! Thank you! You should definitely try it, I love water marbling. Just don’t expect your first try to look perfect, my first few tries were basically a mess! Oooo! I love this! Using a watermarble as you base is such a great idea! P.S. 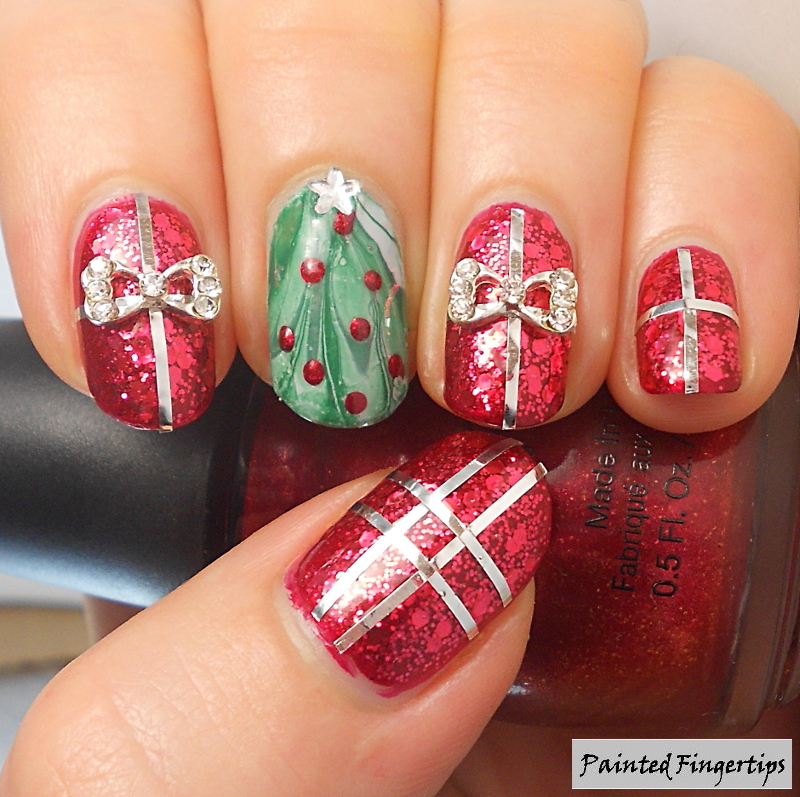 that red glitter polish is to die for! I think it needs to go on my wish list! Thank you! I love the red glitter too. It looked so much better on than I was expecting! How clever!!! These are great!! For me, the tree is just fabulous! It has this painting aspect that you see on Christmas cards! This is gorgeous! I love the look of the tree with presents “underneath”! 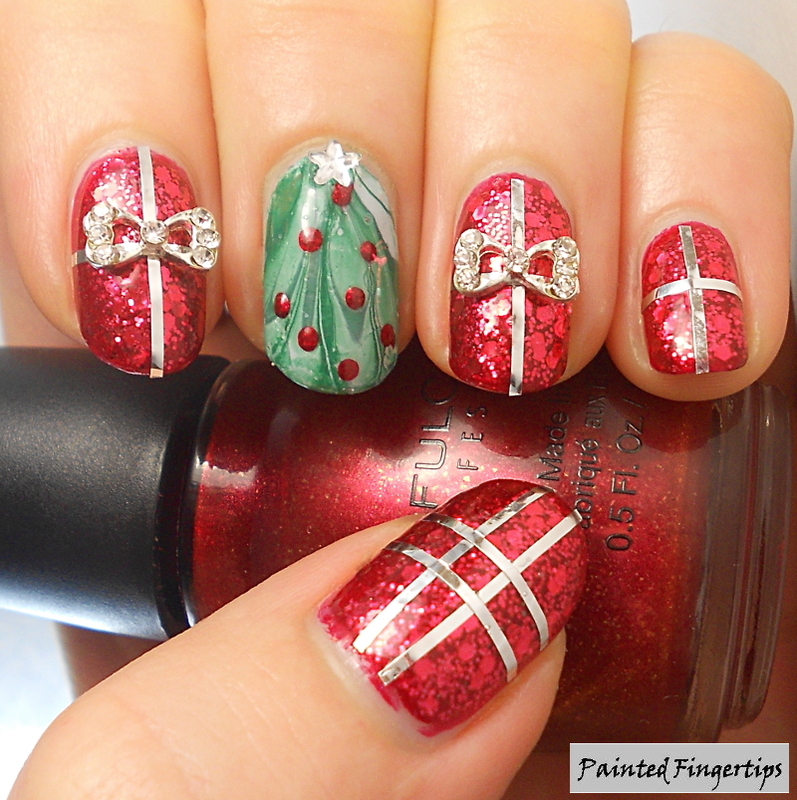 I love the red shade that you used to give this manicure some detail! !